This December I’ve been looking for ways to help people. I try to do that every December, but this December feels a lot different from the past several Decembers. I’m not really looking forward to 2017. After all, 2016 has been horrible: creative people dying, atrocities being committed, fascists rising to power, hate crimes increasing… What does 2017 have in store for us? Well, I don’t know, but I don’t suspect much good. So I’ve been actively looking for creative ways to nurture the love and kindness in the world. I’ve been looking for all the ways people are better than the horrible headlines want us to believe. I’ve been seeking out ways I can help others within my own limited means. 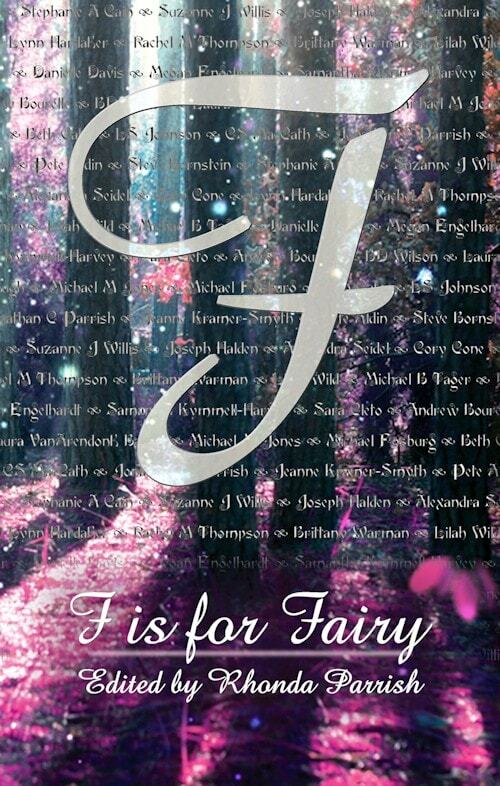 That’s part of why I participated in Rhonda Parrish’s Giftmas 2016 blog tour, and it’s why I’m participating in a current effort headed by science fiction author Patty Jansen. From now through the end of December, I’ve teamed up with all kinds of other great authors to donate to funds that will help give other authors a leg up. So far we’ve raised over $1500, and we’re still going strong for another 10 days! We’ve listed dozens of books, including my novel Stormseer. 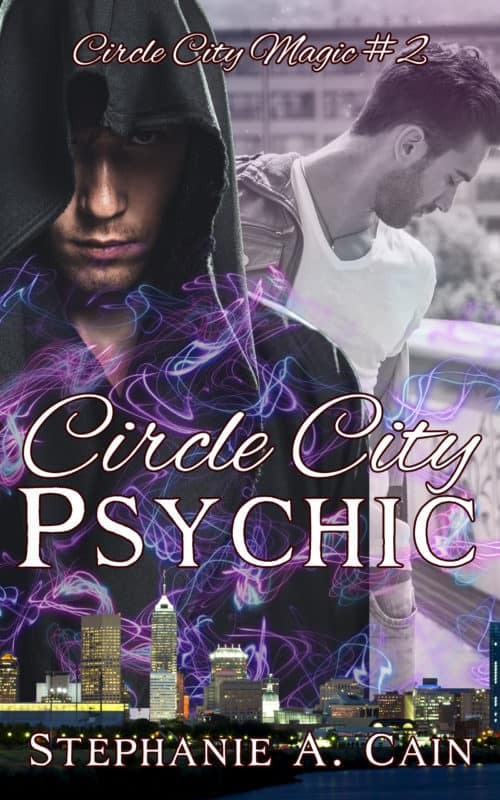 They cover genres from science fiction and dystopian to horror to fantasy and fantasy romance. Several authors have box sets in the promotion. 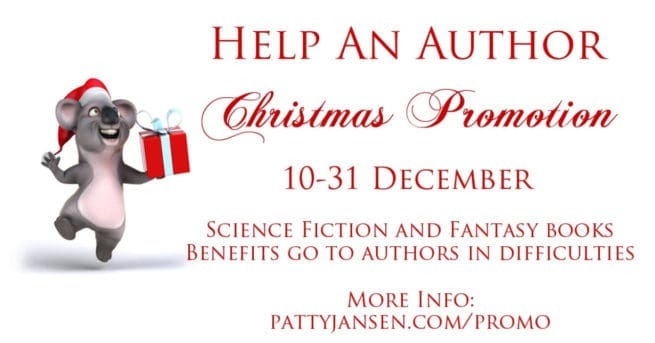 You can make a donation directly to the Help An Author Christmas Promotion by visiting PattyJansen.com/Promo or tapping the graphic above. If you would take just a minute or two to browse the promo page, I’d be really grateful. And you might get a few great reads while also helping a good cause! Have a wonderful holiday season, everyone, whether you celebrate Solstice, Christmas, Hanukkah, Kwanzaa, or any of the other festivals of hope and light this time of year. And if you don’t celebrate at all, I hope you have a lovely December! P.S. If you don’t subscribe to my newsletter, you might want to do so ASAP–I have a sooper-sekrit announcement coming up! Newsletter subscribers will be hearing from me on December 30, and they’ll have some important input on this announcement. This is an awesome thing. Once I’m on a real computer I’ll signal boost it. If they ever do it again please let me know and I’ll donate a title to the cause. Hi Rhonda! I’m pretty sure she’s adding books to the promo throughout, so it’s not too late to jump in if you want. :) And thanks for boosting the signal!